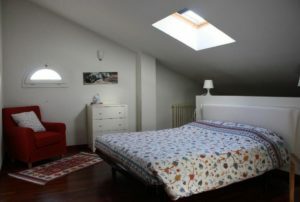 – An airy loft (bedroom, living room, bathroom) furniture from the early 900 can accommodate two to four people. 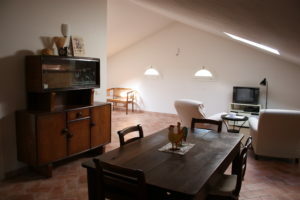 The price of the loft is 80 euro, breakfast included, for two people or 50 euro for one person alone. 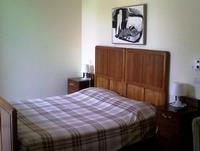 – The north room, a double room equipped for disabled guests, on the ground floor with private entrance and bathroom. 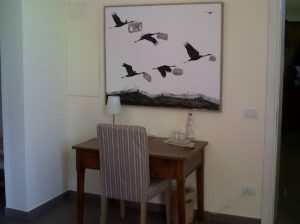 The room provides access to the garden of the B&B. The price of the north room is 75 euro breakfast included, for two people or 50 euro for one person alone. 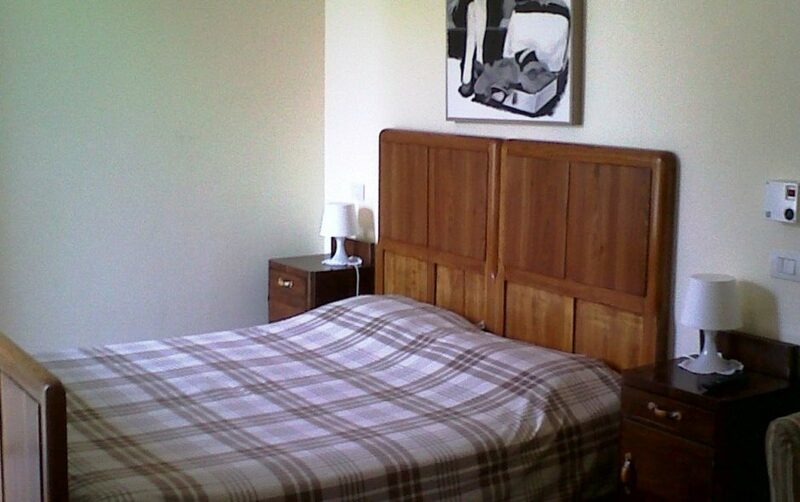 – The south room, a double room on the ground floor with private entrance and bathroom. 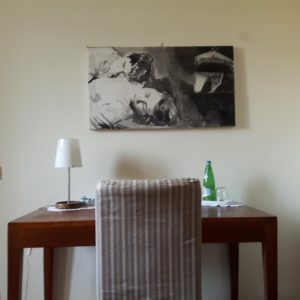 The room provides access to the garden of the B&B. The price of the south room is 75 euro breakfast included, for two people or 50 euro for one person alone. 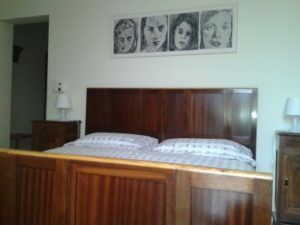 In the rooms it is possible to add a cot (children’s bed) for the price of 10 euros or a single bed for the price of 20 euros. Animals of little size are welcome.